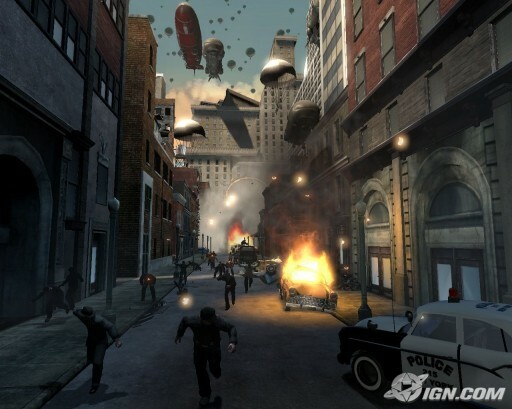 The makers of Call of Duty: Finest hour bring you and FPS from 50s America in world where the Nazis won World War II. Delivering both wartime authenticity and a fresh perspective through an intense, action-driven storyline, Turning Point: Fall of Liberty makes war personal and relevant. Presenting this scenario as a powerful and realistically crafted alternate history, Turning Point: Fall of Liberty delivers an explosive First Person Shooter experience in a world where famous real world locations appear startlingly different under Nazi occupation.